If you aren’t sure what you’re looking at, it’s the logo on the phone screen. It’s supposed to be the company image but I wanted to play with it and see how easy we can change it. Turns out it’s super easy. No technical or admin required. 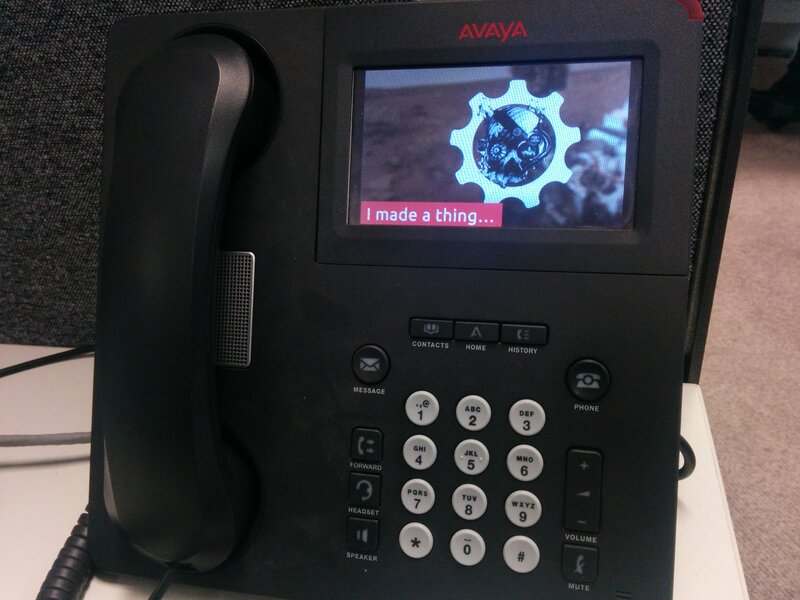 Just get the Avaya USB Companion Tool from HERE. Install the app, then put a blank USB into your PC. Run the app and click to the tab for logo changes. Import the pictures you’d like and click save.